Strategically located between London and Europe, the North Kent Enterprise Zone is one of the south east’s new hubs for innovation and entrepreneurial growth. 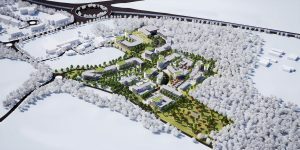 The Enterprise Zone’s six sites, in Ebbsfleet Garden City, Medway and Maidstone, will offer state-of-the-art commercial space and a supportive environment that will help businesses to connect, collaborate and compete. engagement with three universities giving access to cutting edge academic research & development and training facilities offering a rich pool of expertise and future talent. Strong partnerships and networks encouraging sector clusters and centres of expertise around existing strengths in advanced manufacturing, engineering, healthcare, medical technologies, digital and creative industries. Creating the conditions that will help businesses to stand out from the competition. Kent and Medway also offers some of the best places in the UK to live and work, with a growing and diverse housing market, excellent schools, leisure facilities and extensive shopping and dining opportunities, from independent local shops and restaurants in its historic town centres such as Rochester, Maidstone and Gravesend to major retail outlets at Bluewater in Dartford. 66 hectares across six sites in North Kent: Medway (1 mile from M2), Maidstone (0.5 mile from M20) and Ebbsfleet Garden City (17 minutes from London by High Speed 1).